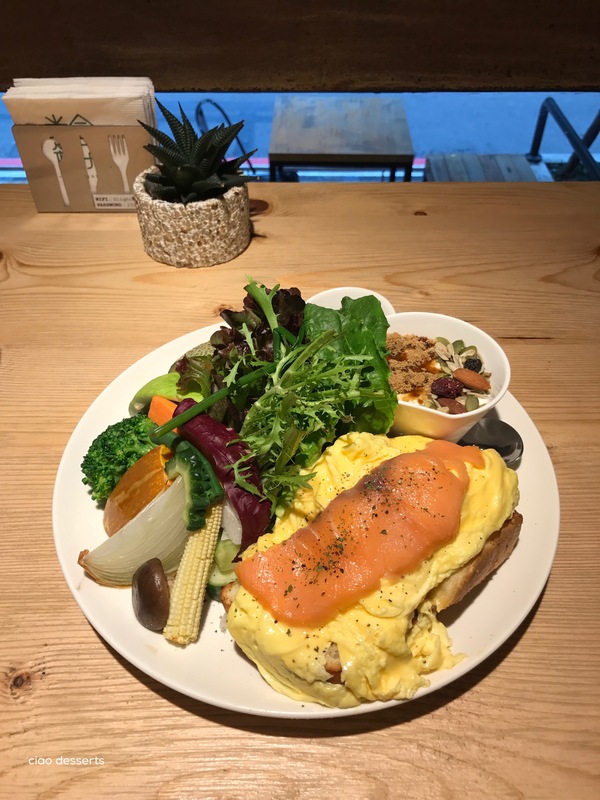 If this endless heat is wilting your appetite, I highly suggest paying a visit to Daylight 光合箱子~ a restaurant that specializes in enormous servings of fresh vegetables, freshly made bread and homemade yogurt. For my first visit, I tried their salmon scrambled eggs, over freshly baked bread. The plate arrived accompanied by the trademark generous serving of salad and roasted vegetables, and a small serving of handmade yogurt. The entire plate was delicious. However, the star of the show was their handmade yogurt, which was creamy, with just a hint of tanginess, topped with brown sugar and assorted nuts and seeds. This brunch kept me full, yet energized for almost the entire day~ from about 11:00 pm to 6:30 pm, through two meetings! Usually by the end of one of those meetings, I start craving sweets and coffee, but this time, I just sat calmly (and a bit smugly) in my chair, while the others ran out during the break to get their fix.